Ráiteas Príobháideachais do Shuíomh Idirlín na Scoile / School Website Privacy Statement - new tab PDF. 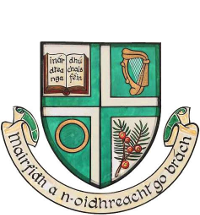 Scoil Naithí is committed to preserving the privacy of all visitors to www.scoilnaithi.com. This privacy statement relates to our practices in connection with our website and is designed to assist you in understanding what information we do and do not collect. Scoil Naithí fully respects your right to privacy. We will not collect personal information/personal data about you when you visit our website. When you visit our website you may wish to use our information to contact us. We do not have a ‘contact us’ form, therefore no personal information is retained. Scoil Naithi website does not collect any personal data about you on this website. While Scoil Naithi website does not collect any personal information, we employ security measures to protect your information from access by unauthorised persons and to guard against unlawful processing, accidental loss, destruction and damage and we will do our best to ensure that all records we hold remain secure in line with our obligations under Data Protection Acts 1988 to 2018. We take our security responsibilities seriously, employing appropriate physical and technical measures. If we change our privacy policies and procedures, we will post those changes on our website to keep you abreast of any developments.